We design, build, finish and install all manners of architectural and sculptural metals. Custom Manufacturing and Installation of interior wooden stairs. 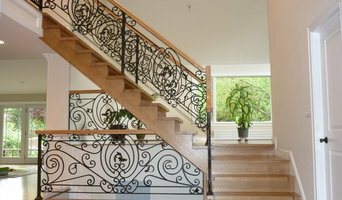 We custom design and build staircases of all types, materials, sizes and shapes. 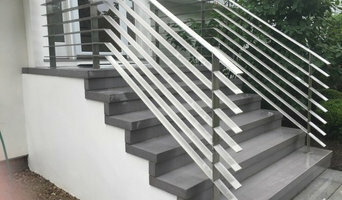 Our skilled stairbuilder is an expert in the art of stair design and construction. Each staircase is meticulously crafted in accordance with the time-honored techniques of staircase construction, using only the finest materials. The result will be a fine staircase that will enhance the value and character of your home for generations. At AM Design and Fabrication, we are dedicate to creating and restoring specialized fabrications and forgings out of steel, aluminum, and red metals. Although we have many years of experience in regular steel construction, our artistic background allows us to investigate techniques beyond those that are used in traditional fabrication. We enjoy working with clients who want to create something truly unique and we encourage interesting design work. Our experience with creative forging, casting, and fabrication techniques allows us to determine the best method for your project, and we work with an extensive network of artisans to bring you the best hands and minds our trade has to offer. Design, Fabrication, and Installation of custom staircases, handrails, and balustrades as well as custom millwork and kitchens. Industrial and Commercial Structural Steel Contractor. 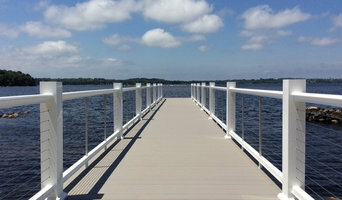 I also do structural steel and railings and stairways for custom homes.